SmartPhone technology development today has prompted many SmartPhone vendors vying to create a new SmartPhone products with various features and advantages of each. 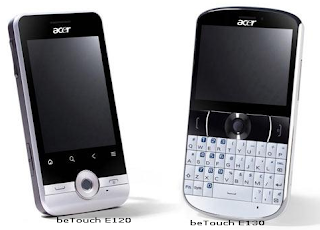 One of them is Acer has launched two new smartphones variants namely beTouch E120 and E130 beTouch based Android operating system. Basically, both of this variants SmartPhone are only adopting Android v1.6, than most other vendors have released products based on Android v2.0/2.1 and was preparing SmarPhone based on Android v2.2. However, on this SmarPhone there are additional features such as Acer Spinlets, applications for accessing or sharing media content, and UrFooz, and social networking applications. In addition, both beTouch E120 and beTouch E130, equipped with a 3.2 MP camera, 416MHz processor, 256MB RAM, 512MB ROM, Wi-Fi, 3G, GPS, Bluetooth, FM radio, and audio jack 3,5 mm. 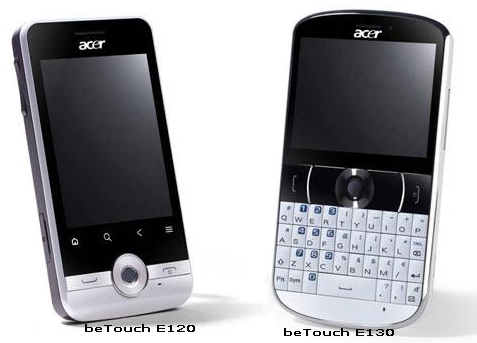 The difference between them are beTouch E120 brings touch-screen technology with accelerometer sensor for auto-rotate, while beTouch E130 comes with landscape QVGA screen of 2.6 inches and the Qwerty keyboard beneath.